Yes, I am about to blog about socks….saddle up! Then, after the NYC half in April, I had a really hard time with muscle recovery in my calves. So, I gave it a second thought. I still didn’t think I needed them while I ran, but maybe they would help ease and speed recovery after long runs and races. I went back to reading articles and blogs to get more information. I actually really wanted to give these a try and I guess I started talking about them enough because Joe’s parents got me a pair for my birthday last week! There are many varieties out there and not all socks are created equal, so make sure you know what you need/want when you go to buy. 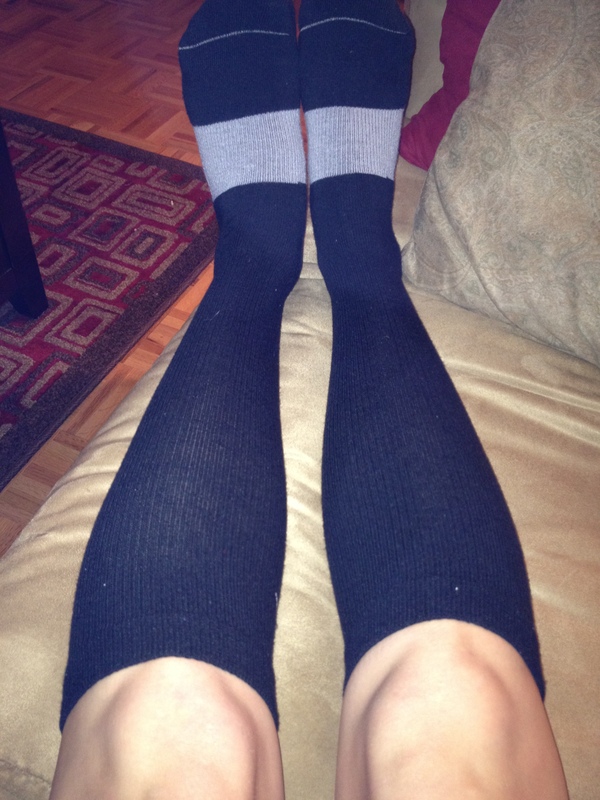 These are Sigvaris Athletic Recovery 15-20mmHg Knee High Socks and can be found here. This entry was posted in Run. Bookmark the permalink.